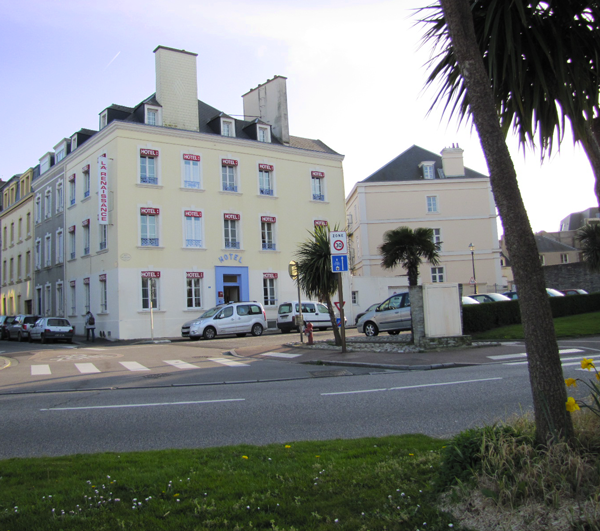 The hotel, located in the center of Cherbourg behind the Trinity's Basilica, is open all the year except for christmas holidays. The sites of DCNS, CMN and "La Cité de la Mer" are at two minute by car and five-ten minutes by walk from the hotel. The reprocessing plant of AREVA and the Flamanville nuclear power plant are, for their part, at a half-hour by car, easily serviced by the road in front of the hotel. Each of its twelve large and spacious rooms plays a different setting, with the opportunity to offer a truly magnificent panoramic view of the sea and the port. - from 7am to 12am and from 4pm to 9pm on week. - from 8am to 1pm and from 4 pm to 9pm on weekends. For reservations, access to the rooms is guaranteed at 4pm. In case of late arrival, the access code and your room number can be notified by phone.